Known primarily for his mastering work with artists such as Periphery, Devin Townsend & Architects, Ermin Hamidovic is a recording engineer and producer based in Melbourne, Australia. Originally working with local artists in the inner suburbs of Melbourne, Ermin was thrust into international consideration after penning his book, 'The Systematic Mixing Guide', which was received with critical acclaim. In late 2014 he would see his career trajectory alter, after being hired by progressive metal band, Periphery, to master their dual-record opus 'Juggernaut Alpha' and 'Juggernaut Omega'. 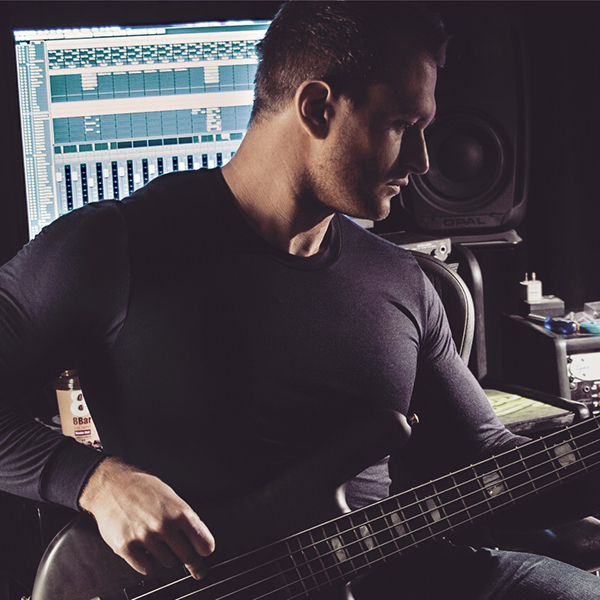 Focusing primarily on mastering from 2015 onward, he had the chance to work with many notable progressive artists such as Animals As Leaders, SikTh, Betraying The Martyrs, Plini & Arch Echo. His work with Periphery on their song 'The Price Is Wrong' led to a US Grammy nomination. During this time Ermin continued to hone his craft as a mixing engineer with such artists as Abiogenesis, Carcer City & Silent Descent, finding new ways to push the boundaries of what's possible with large track counts in dense arrangements, aided by the flexibility and power of Cubase. He's presently continuing his engineering work while writing the sequel to his book, 'The Systematic Recording Guide'.